Been keeping goats for a long time (over 30 years). I have BS, my mum has BA, my nephew has BT and there is an infestation of pygmys in the goat house as well. Welcome to the SGF Forum. I like you phrase 'infestation of Pygmies'...only seen pygmies a few times but I can just imagine what it must be like to have lots. Got any castrated male pygmies for sale? A friend of a friend is looking for a couple? No worries...just thought I would ask on the off chance. she may know of people closer to you though if you are interested i could give you her number? Thanks for letting me know about your contact in Wiltshire, however its too far south, am really looking for pygmies in the Perth northwards area? 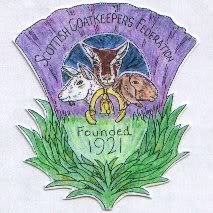 Anybody know any breeders in scotland?